There’s a lot more to the Gold Coast than Surfers Paradise. This sparkling stretch of Queensland serves up more variety than you’d ever think possible. Let’s start with the beaches. 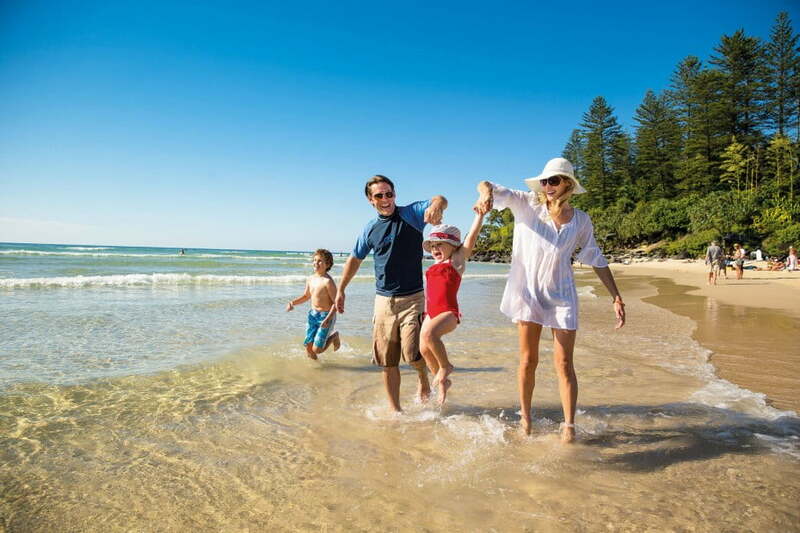 The Gold Coast encompasses more than 70 kilometres of gorgeous, surf-blessed Pacific Ocean beaches. From Coolangatta through to South Stradbroke Island (“Straddie” if you want to sound like a local), you’ll never be short of a place to park your beach towel. We’ve got a soft spot for Currumbin Creek, where you might just come across a pod of dolphins while practicing your stand-up paddle boarding. If you're travelling with kids, next item on the to-do list will probably be the theme parks - they might even be a priority for the grown-ups too. Scream your way through Dreamworld, home of the Big 9 Thrill rides. With names like the Tower of Terror 2, the Giant Drop and The Claw, these rides will have your adrenaline pumping. Then head next door for some water-powered thrills at WhiteWater World, or slide and splash through the gigantic pools at Wet ‘n' Wild Water World. There's a different kind of excitement on offer at Warner Bros Movie World, where you can meet your favourite superheroes and take in the live-action stunt show. The Gold Coast encompasses more than 70 kilometres of gorgeous, surf-blessed Pacific Ocean beaches. The Gold Coast is also paradise for shoppers, with the tree-lined boulevards of Surfers open till 9pm every night. And for sustenance after all your activities, you have the choice of everything from bar snacks to immaculately cooked soft-shell crabs and Wagyu beef in the region's first-class restaurants. Make sure you try the seafood in one of the absolute oceanfront establishments at Burleigh Heads – you’ll swear the fish has jumped straight onto your plate. There's also another side to the Gold Coast. One that's equally rewarding, but a lot closer to nature. The Gold Coast Hinterland is just 30 minutes from the coast, but a world away from the theme park frenzy and beachside buzz. Ignite your explorer's instincts while walking through unspoilt rainforest, stopping at canyons, waterfalls and hidden valleys along the route. Hiking, horse riding, hang gliding and abseiling are all on offer, along with boutique wineries, quaint villages and craft shops. There's nothing like a treetop walk through the rainforest canopy, followed by an indulgent afternoon in one of Australia's most luxurious spas.